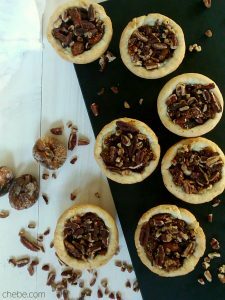 Sophisticated yet simple, these fig, pecan and blue cheese tarts are perfect for serving with a holiday brunch or at the breakfast table with the family. 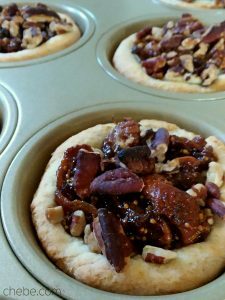 The blend of flavors and textures you get with the orange marmalade and balsamic vinegar, the creamy cheeses, and the nuttiness of the pecans is a treat to the palate. And as usual, the naturally gluten and grain free Chēbē dough performs wonderfully to cup this great medley! Just one of many ways to enjoy Chēbē! In a saucepan, blend the marmalade and vinegar and warm on low heat. Add figs and continue cooking for 7 or 8 minutes, stirring occasionally. Remove from heat and set aside. 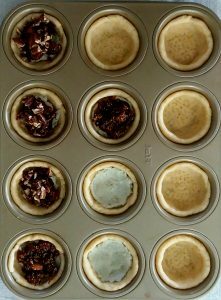 Separate the dough into 12 equal pieces. 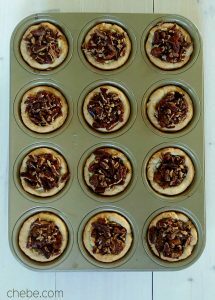 (If you have a scale, each dough piece will weigh about 1.2 oz, or 33g.) 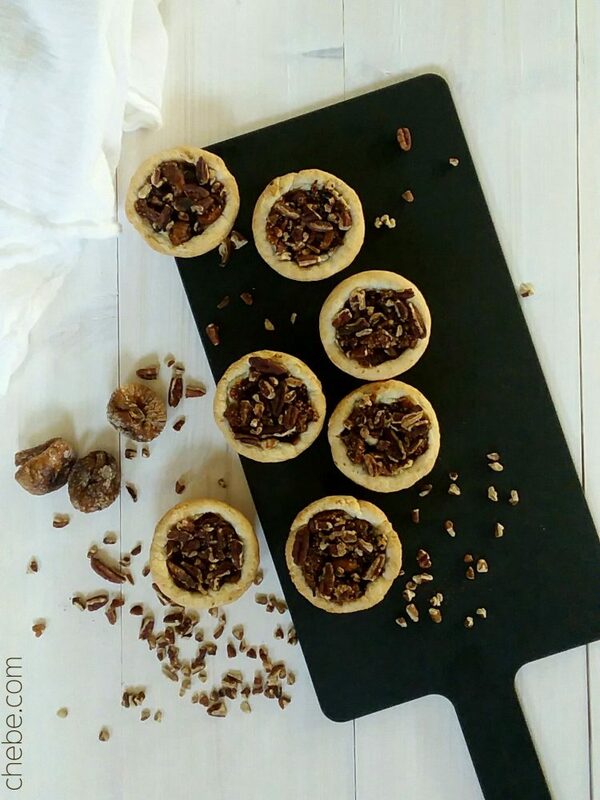 Drop each piece into the cups of an ungreased muffin baking tray. 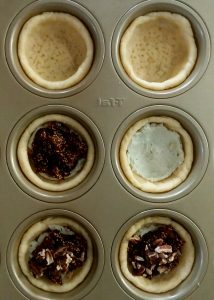 With your fingers, press the dough into the muffin cups so that the dough reaches almost to the top of the cup. 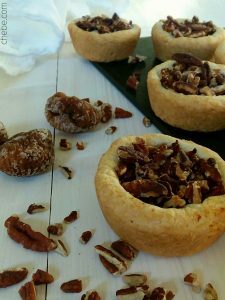 Fill each cup with the cheese blend, marmalade sauce and pecans. Bake 16 to 18 minutes until the crust is golden. Remove from the oven and from the muffin tray then let cool for 15 minutes (the cheese will be hot!). Serve warm.